The oil-rich nation of Norway could be the first country to ban gas-powered cars for good. According to CNBC, that’s basically the headline on today’s Dagens Næringsliv, a Norwegian business publication. “Stop sales of diesel and gasoline vehicles in 2025” it says, noting that the four political parties have come to an agreement about making this a central component to the country’s energy plan. Although the ban has been discussed for months and is not completely finalized yet, the news that the announcement is imminent was particularly exciting to one alien-in-residence Elon Musk, who enthusiastically tweeted the news today. Norway has recently unveiled other progressive transportation plans. 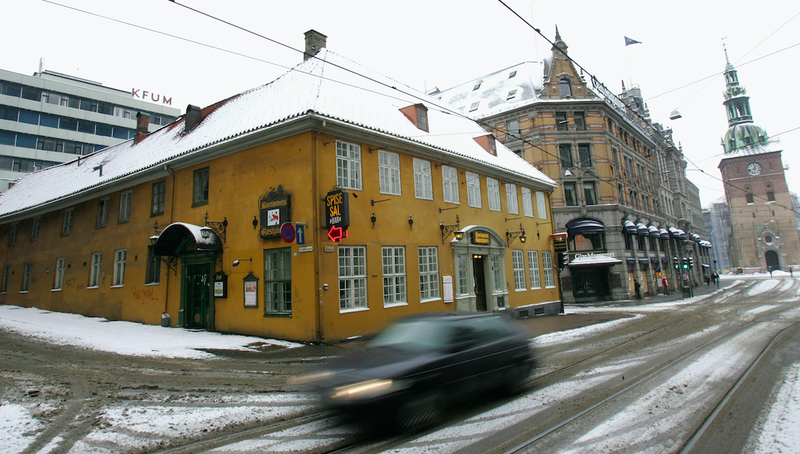 Oslo, for example, has already announced an ambitious proposal to ban all private vehicles from its downtown by 2019. A lot of cities are looking at these types of ideas in an effort to reduce smog. But as Justin Westbrook wrote over at Jalopnik, it’s not as much for pollution reasons in Oslo as it is a way to make the city more vibrant and livable. The plan includes beefing up other transportation options like buses and bike lanes. This week Paris announced the second phase of its plan to ban pre-1997 cars from its city center, with the goal of heavily incentivizing electric vehicle ownership. By 2025 you probably won’t be able to buy very many gas-powered cars there, either. But the unique thing about Norway is that it’s one of the most oil-rich countries in the world. So it’s essentially financing the entire country on the sales of oil while telling its own citizens they can’t buy cars that use gas. Exporting all Norway’s fossil fuels while weaning its own citizens off them is a brilliant strategic move but it also relies on the price of oil staying high. In fact, Norway drew from its oil fund for the first time in history earlier this year.